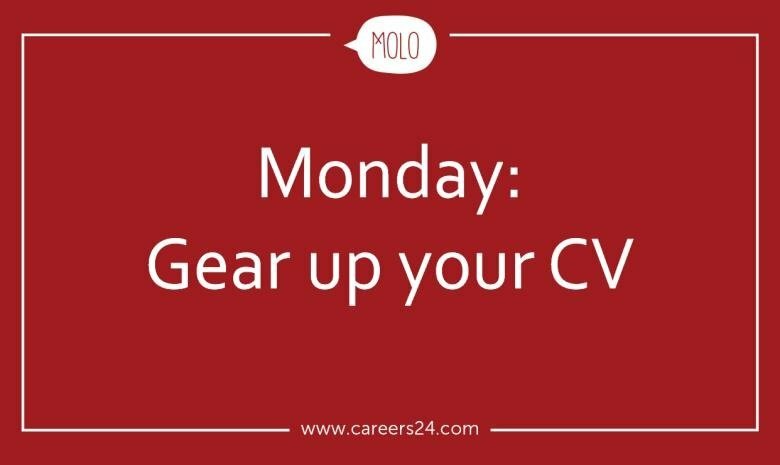 Kick off Monday by updating your CV to ensure it's flawless and sells all your right skills. There comes a certain time in every person’s life when what you have is simply enough. When there’s no need to upgrade to the latest cellphone or move into a more spacious apartment. But when it comes to your career, letting things be, simply doesn’t work. No matter how happy you may be with your current job, it’s always a good idea to keep your options open. So whether you’ve got your eyes set on a new gig or you’re perusing Careers24 to see what’s on the market, we’ve got tips to help you boost your chances of finding a new job in just a week! Kick off Monday by updating your CV to ensure it’s in tip top shape for when you decide to make a move. Get rid of any unnecessary career history; old skills, certifications and affiliations that are no longer relevant to your career. Also be aware of any phrases you should ban from your CV. Once you’re done with the old, it’s time to bring in the new. You want to add relevant content that will demonstrate your value to your target employer. If you see that an employer is seeking for digital marketing skills and you just wrapped up your Udemy Digital Marketing short online course, add it to your CV. Remember that hiring managers and recruiters love to look for certain keywords in your CV related to the job. Therefore, make sure to look out for those distinct keywords in the job posting and use them to instantly boost your CV. Once your CV is squeaky clean CV, you can take the rest of the day off to prep yourself for Tuesday’s cover letter brush up.